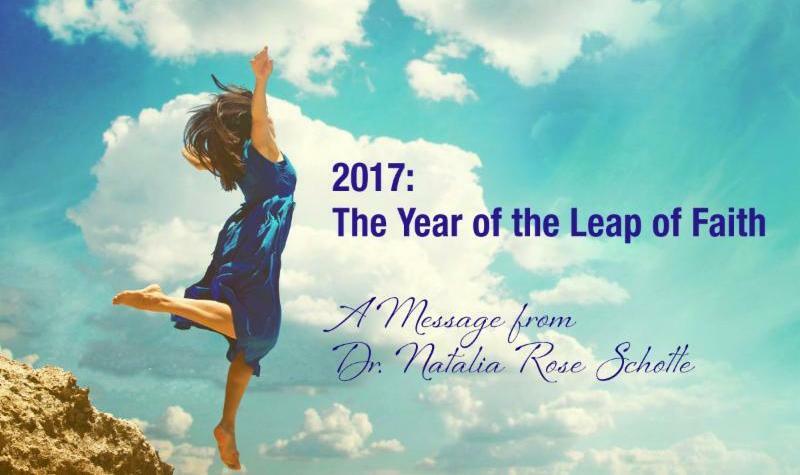 Welcome 2017: The Year of the Leap of Faith! On January 1, the New Year in the Gregorian calendar begins. The Gregorian calendar, which is not based in the cycles of Nature, governs our outer lives and engagement with society. 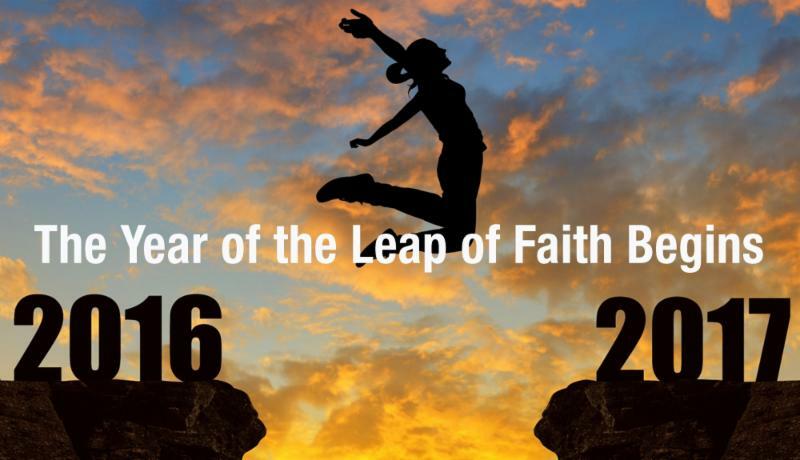 This year’s theme, The Year of the Leap of Faith, tells us that we will surely be faced with one or more moments where we will be called to take a leap of faith in the outer world. When we find the courage, faith, and trust to take the leaps before us, we will open the portal to Dream Fulfillment. I am delighted to share my video message about The Year of the Leap of Faith. The theme for 2016 was The Year of Strong Statements. on the strong statements you made in 2016. What words did you speak? What intentions did you set? into greater alignment with your Soul! As a reminder, on September 22, 2016, the Autumnal Equinox took place and with it, a New Nature Year began: The Year of Dreams Fulfilled. Because the Nature Year governs our spiritual lives, the dreams we have the opportunity to fulfill are ones that close to our hearts. They are dreams that reflect deep spiritual desires, dreams that serve our Spiritual Growth and are in alignment with our Souls’ journeys. While these dreams may take external forms, when they are fulfilled we will experience something that reflects deep transformation within. At this time, a new evolutionary cycle in which we have the opportunity to ascend the ladder of consciousness toward our perfected and sacred Selves was initiated. In the summer of 2017, this cycle will reach fruition. To listen to the audio message for the current Nature Year, click here. As 2017 begins, we sit on the precipice of the unknown waiting for the moment/s we are called to leap into the abyss to the place where we long to be. 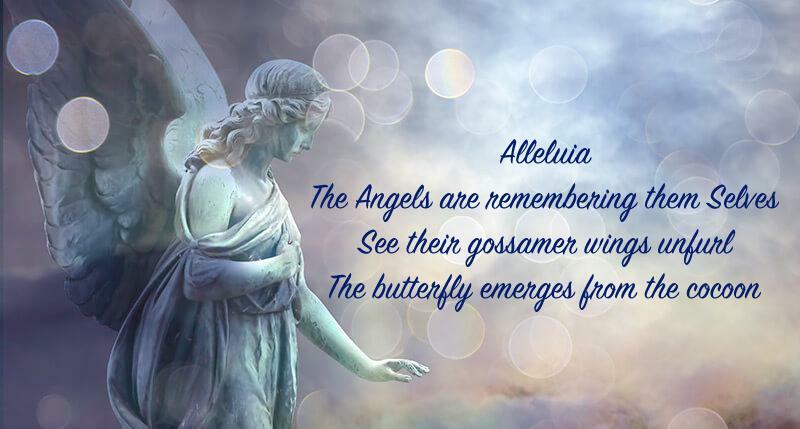 When the time comes, remember we are all Angels. Like the bird tossed out of the nest by its mother, we will discover that we are ready to take flight. and fulfill our heart-felt dreams!